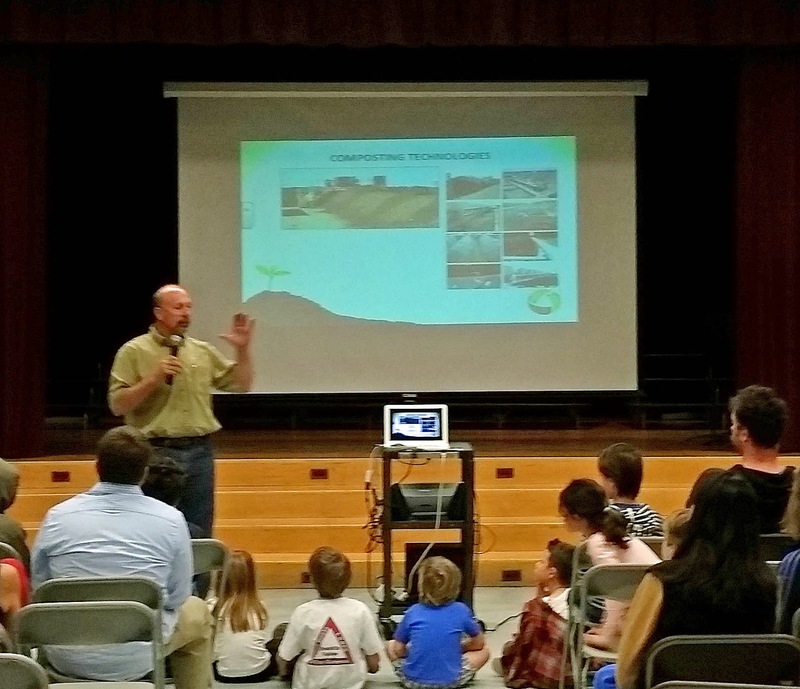 Agromin's Dave Green recently made a visit to Franklin Elementary School in Santa Monica to talk to members of its Science Club and their parents about composting. The kids ranged in age from 5 to 11. Dave gave them the rundown on where their home's organic waste goes once placed in recycling bins and the process that turns the waste into natural, nutrient-rich compost. The school is stepping up its composting efforts. It has placed a compost bin next to the recycling and trash bins. After eating their lunch, kids place food and other organic waste into the compost bin. They sometimes need a school monitor to help them figure out where to put the waste--but kids learn fast! After lunch, the compost goes into composting containers and parent volunteers rotate the material every so often. "I am so glad that Agromin offers field trips and presentations to our students," says Patti Senior, a Science Club parent volunteer. 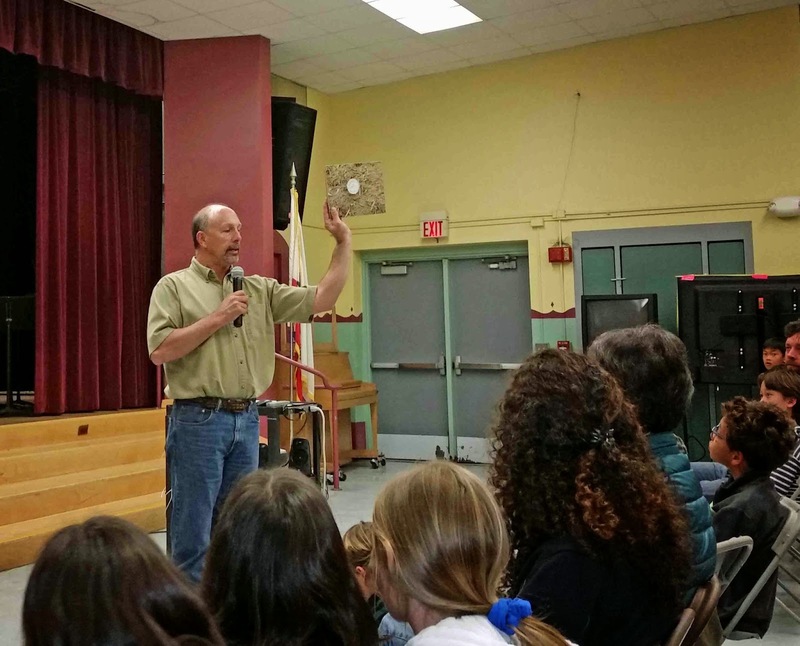 "I think educating everyone about composting will encourage more people to do it." We agree!